Strawberry Energy’s solar-powered, smart street furniture brings the Internet of Things to outdoor public spaces. 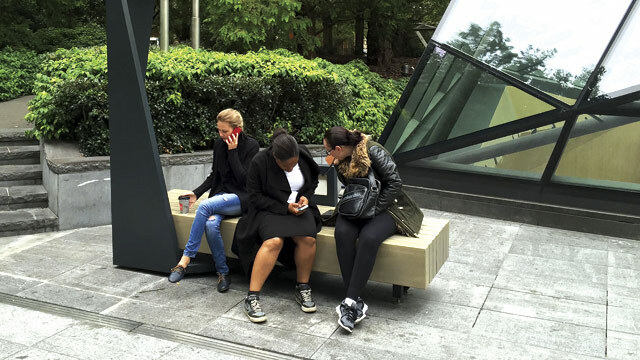 The young company - which began in Serbia - has installed its smart benches in Canary Wharf and has secured orders from the Crown Estate and Land Securities. In 2015, Strawberry joined the Mayor of London’s trade mission to Israel. It was founder and CEO Milos Milisavljevic’s first experience of such a delegation. “It is a great concept and the best way for entering a new market,” he says. Strawberry Energy sees significant market opportunities around the world. Its focus for expansion is in the USA, but Milisavljevic believes that there are many cities around the world that look to London as a city to follow. “Having successful proof points in London provides meaningful references that we can leverage,” says Milisavljevic.